UPDATE: Wally Paupack went for a swim at 11:01:20 AM on Feb. 27, 2018! 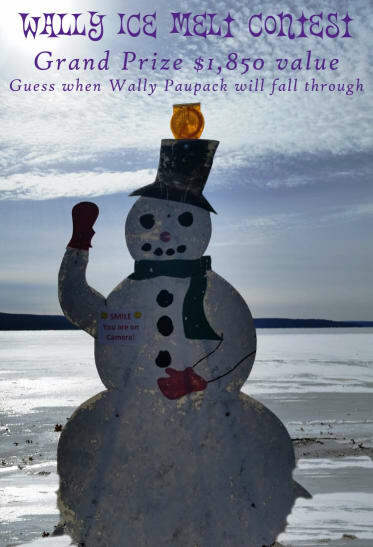 When will Wally Paupack the Snowman fall through the melting ice of Lake Wallenpaupack? Join the Wally Ice Melt contest and help raise funds for The Chamber! Contest is now closed! Wally went through the melting ice on 2/27/18 at 11:01:20 AM. Overnight accommodation for 4 at East Shore Lodging in our 1-Bedroom King Suite w/pullout sleeper sofa. 3 hour Captained charter on Lake Wallenpaupack (http://www.wallenpaupackboattour.com/charter/). Continental Breakfast in the morning. ** Please book at least 48 hours in advance, based on availability. Not valid 7/2 thru 7/6. Accommodations valid Sunday night through Thursday night. Charter valid Monday through Friday. ​2 night midweek stay in a Suite at Silver Birches and a SUP or Kayak rental for 2 for a value of $850. Package valid February 1st-October 15th. 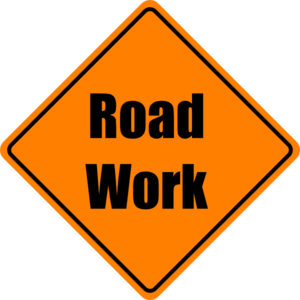 It is not valid July or August, holidays or weekends. Stay and the rentals can be used separately if the winner wants to stay now and use the rental package when our SUP & Kayak Rentals are open May 4th to October 15th.